The bubble pattern is moving on you, but there is a way to stop it. Match three similar bubbles. 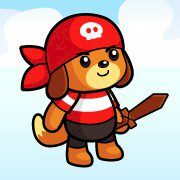 Dogi wants to have fun, but this game is both entertaining and dangerous. You need to stop the bubble madness by shooting it with colored bubbles.